(CNN) -- A former federal prosecutor was arrested Wednesday on charges related to the murder of a witness in a drug case, among many other counts, the U.S. Attorney's Office in Newark, New Jersey, said. 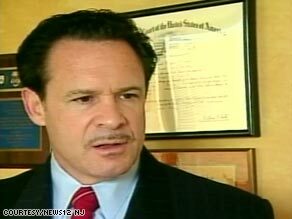 Former federal prosecutor Paul Bergrin is charged with leading a racketeering conspiracy that included a murder. Paul Bergrin and three others were taken into custody after a federal grand jury in New Jersey indicted them on 14 counts, including murder, racketeering, wire fraud and money laundering charges, a statement from Acting U.S. Attorney Ralph J. Marra Jr. said. The indictment charges Bergrin with leading a racketeering conspiracy that included the murder of a witness in a drug case and an attempt to hire a hit man in another drug case, the statement said. Bergrin also is charged with wire fraud and money laundering, Marra said. Gerald Shargel, Bergrin's attorney, said his client would plead not guilty to all charges. "This is largely dredging up old issues, and we intend to vigorously fight the charges," Shargel said. The U.S. Attorney's Office statement said Bergrin was involved in the murder of a confidential witness in one federal drug case and tried to hire a Chicago, Illinois, hit man to kill a witness in another drug case. The second killing never occurred, the statement said, because the proposed hit man was a cooperating witness in the case. Marra called Bergrin's alleged conduct "simply shocking." Bergrin was an assistant U.S. attorney in New Jersey before going into private practice. According to the New York Law Journal, Bergrin, 53, pleaded guilty this month to two misdemeanor counts for his involvement with a prostitution ring. He later represented U.S. Army Sgt. Javal Davis, one of seven people charged in the Abu Ghraib prison abuse scandal in Iraq. In that case, Davis entered a plea agreement on reduced charges before his court martial began. A recorded message at Bergrin's Newark, New Jersey, office said it was closed today, and messages left with Bergrin's cell phone and the cell phones of two associates went unanswered.